Home » Bali Property » What is an IMB? An IMB is essentially the building permit or “permit to establish a building” that also serves as a registration document for the building and specifies what the building can be used for. The IMB permit defines (through a pile of associated documents that are lodged with the application) the specification of the building that it is or has been built for and the purpose the building can be used for. An IMB can take more than 3 months to obtain and costs approximately Rp 5 million. 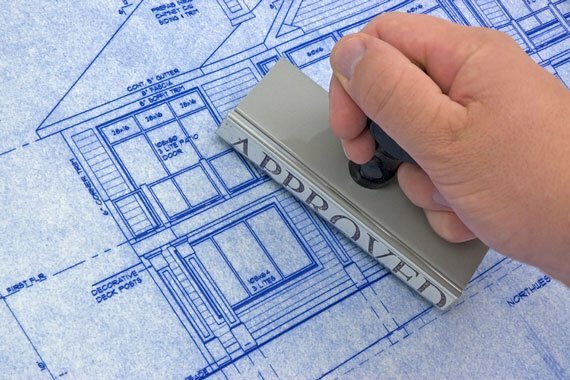 IMBs are very important, as it is an approval from the government to build a building. The IMB is the responsibility of the owner of the building. If you are the owner then it will be your responsibility, if you rent or lease a building it is your landlord’s responsibility. Do not buy or lease a building that does not have an IMB or you may have problems. If you lease a building that has an IMB and wish to use it for a different purpose than is stated on the IMB, then the IMB must be changed. If a villa is to be rented out rather than used as a private residence you also probably need to be careful. Obtaining an IMB is really a part of the town planning process. Permits are issued by the Dinas Cipta Karya or Dinas Tata Ruang Kota dan Pemukiman, which means the Department of Town Planning and Settlements. With the IMB certificate comes a metal plate rather like a car number plate to be mounted at the front of the building. Ijin Kavling (permit to subdivide) if one is needed. Signed permission from all owners of directly neighbouring properties.